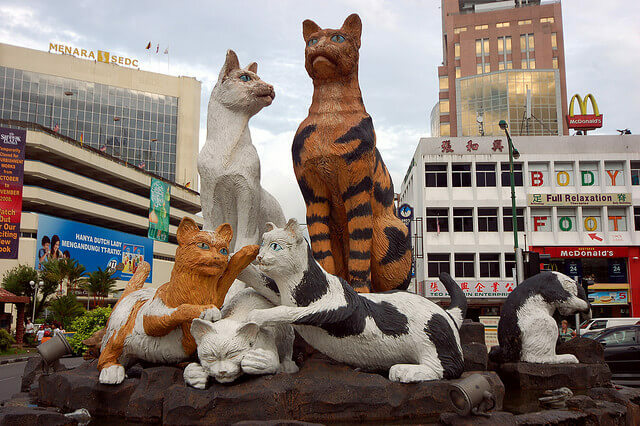 Kuching is the capital and the most populated city in Sarawak. The city is compact and well preserved, sustaining its clean and relaxing ambience, despite being the city centre. Most parts of Kuching can be accessed either by foot or by a sampan as most of the places are accessible through the river. Accessible through East Malaysian buses. Compact and well preserved city centre. 30 minutes drive from Kuching International Airport to the city centre. This mountain stands 35km north of Kuching, within a gazetted national park. Fellow visitors are able to engage in multiple activities in the midst of this marvel of a mountain. Jungle trekking is one of the activities that those who crave a jungle adventure. The Sarawak State Museum is the oldest and most historical building in the country. It is also one of the finest museums that Asia has to offer. Visitors are able to learn about the history of Sarawak and the various races that inhabit Sarawak. Bus travels to and from Kuching to many other cities has never been easier. There are several bus services at convenient timings from Kuching that are available for booking online on Catchthatbus or via mobile app which can be downloaded for free on Google Play or App Store.